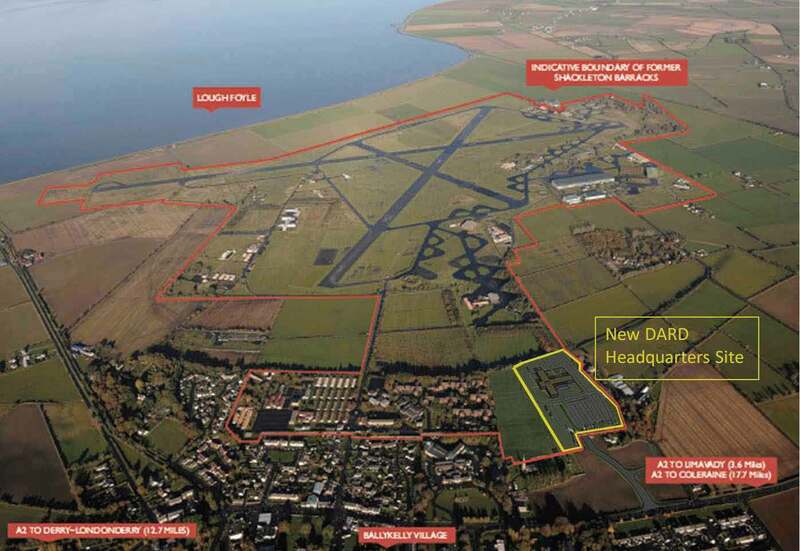 Planning permission has been granted for a new headquarters for the North’s Department of Agriculture and Rural Development (DARD). 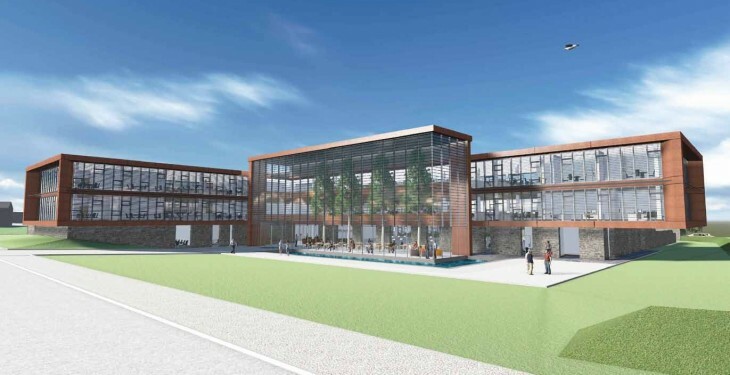 Permission for the 8.7ac site in Ballykelly, Co. Derry was granted for the three-story building by Causeway Coast and Glens Borough Council Planning Committee. The North’s Minister for Agriculture, Michelle O’Neill, said the decision was a significant step in her department’s relocation programme. “I am delighted we’ve got approval to start building our new modern headquarters on the former Shackleton army barracks in Ballykelly. Today’s news is a vital step towards achieving our goal of a £20m investment in relocating public sector jobs to the north west as well as an economic boost to traders, businesses and the wider community. “I hope the building will become part of village life so have ensured it is designed with facilities that can be opened up and used by the local community. “It will complement the established and distinctive surroundings while providing a modern working environment for staff. The move from Dundonald House in east Belfast to Ballykelly will begin next year with the first staff taking up position by the end of 2017, according to DARD. Minister O’Neill said that work has already begun on plans to relocate staff and as well as identifying staff who want to move to Ballykelly. Meanwhile, the Ulster Farmers’ Union (UFU) has said that while it fully supports moving public sector jobs into rural areas, it still has reservations over the relocation of the Department of Agriculture to Ballykelly. UFU Deputy President Barclay Bell said that despite the economic boost rural communities in the north-west may experience as a result of this move, there are some obvious downsides. He said the UFU had consistently questioned the logic of spending a large amount of money on a single relocation project, when an existing network of DARD Direct Offices throughout Northern Ireland could be used. Bell said the impact of the move on DARD staff could be overlooked and that it’s encouraging there is interest across the civil service to work at Ballykelly. But our concern is that many of DARD’s existing, experienced, and qualified staff may not be in a position to move, because of family commitments in commuting distance to the current DARD HQ in Belfast. “With planning now approved, the most important thing for our members is that DARD is in a position to deliver first rate front-line services.